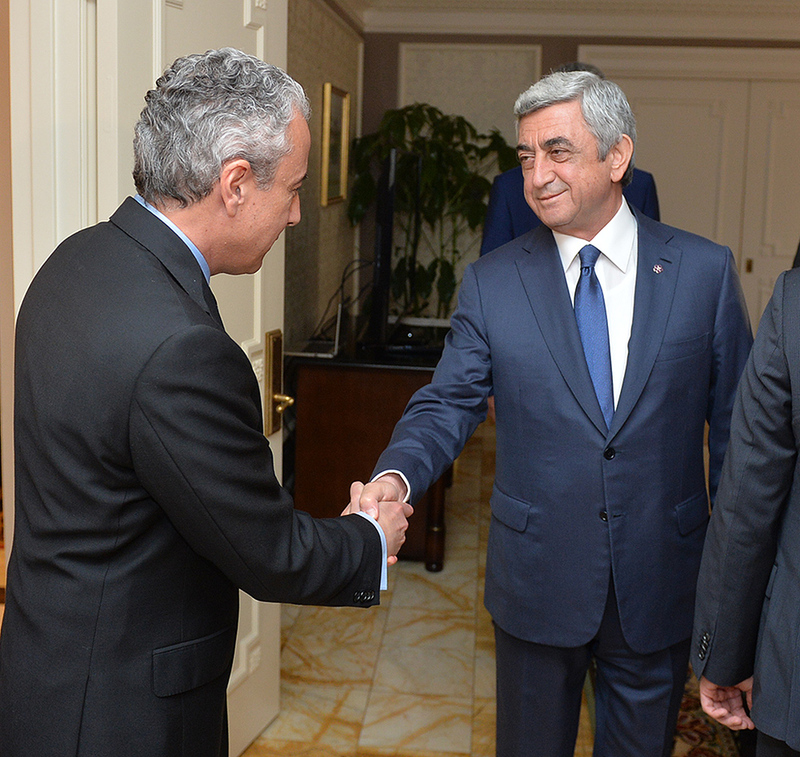 President Serzh Sargsyan, who has made a working visit to the U.S., had a meeting with Mitch McConnell, Republican Majority Leader of the U.S. Senate, and Harry Reid, Democratic Minority Leader of the U.S. Senate. 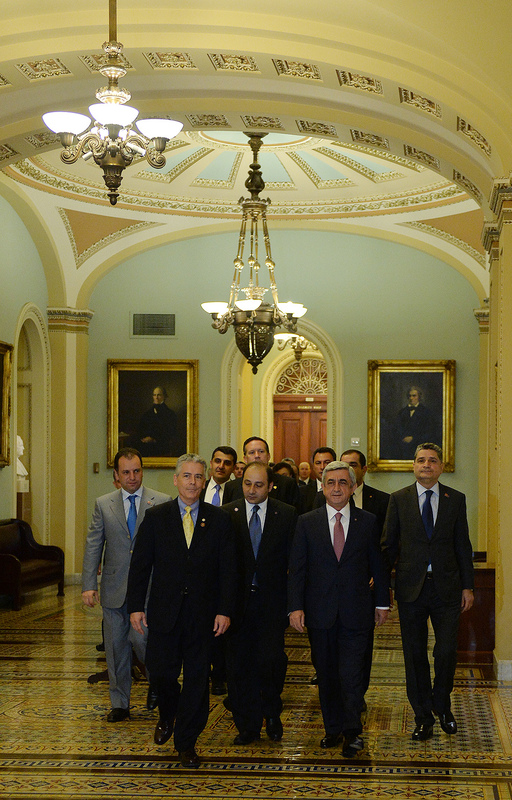 A number of other Senate Republicans and Democrats also attended the meeting. 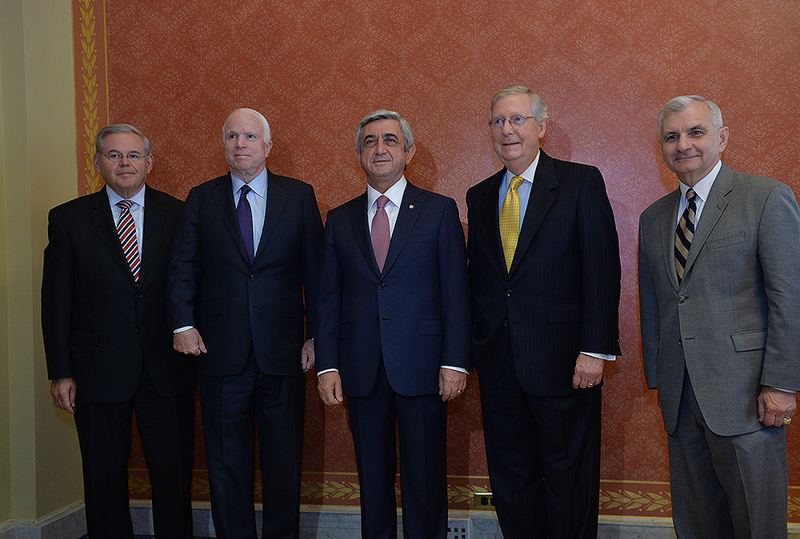 The interlocutors discussed a broad range of issues pertaining to Armenian-American inter-parliamentary collaboration and to the further promotion and deepening of friendly bilateral relations, as well as touched upon the unique role of the U.S. Congress in those relations. 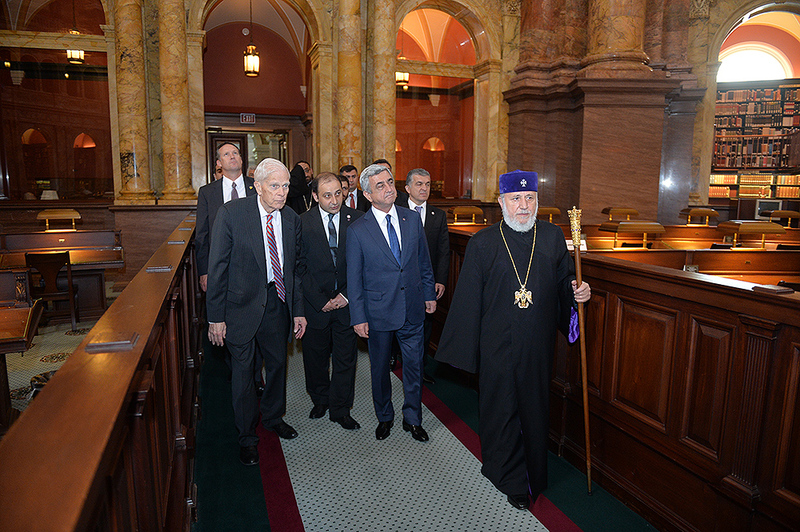 According to the Armenian president, partly owing to the vigorous efforts of Senators Mitch McConnell and Harry Reid, those relations are presently at the highest level. 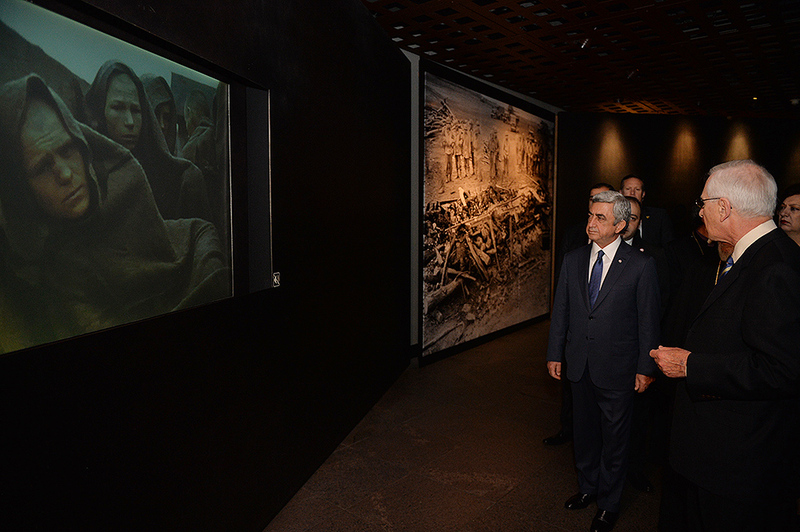 Serzh Sargsyan expressed his gratitude to the interlocutors for the caring attitude demonstrated throughout these years towards the issues which are of vital importance to Armenia and the Armenian people. 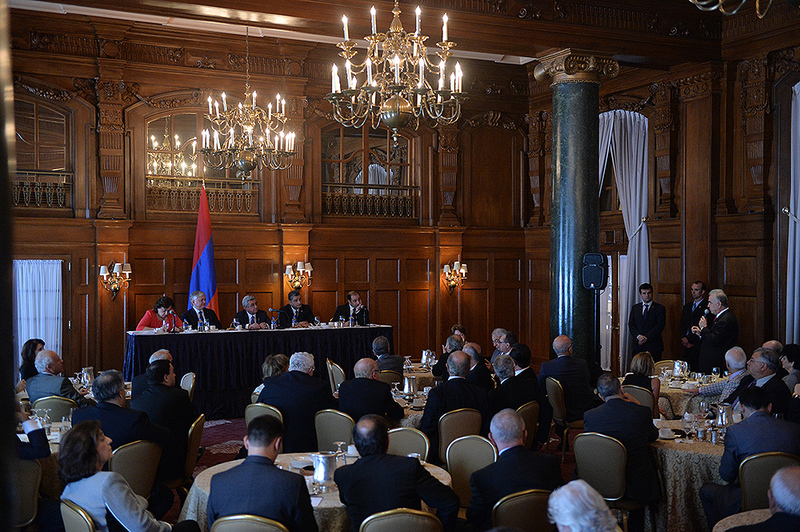 At the meeting, the parties agreed that since the recognition of the independence of the Republic of Armenia, Armenian-American relations have embraced a broad framework of cooperation. 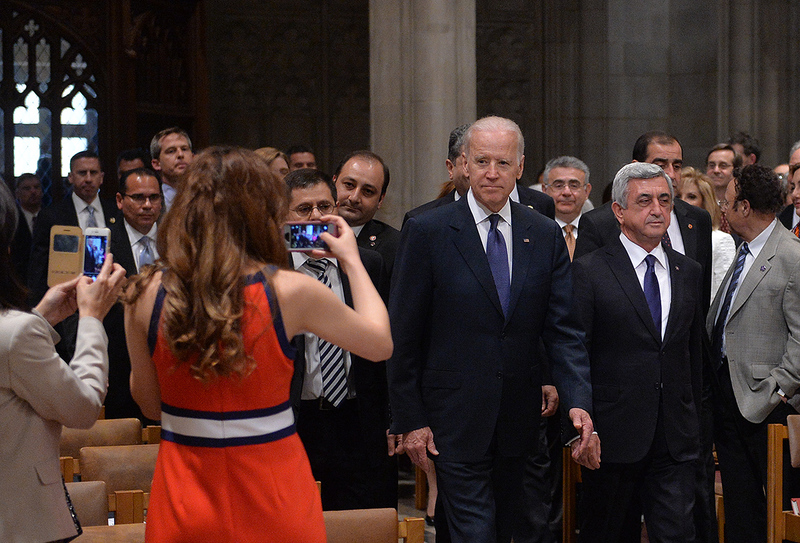 Armenia and the U.S. have maintained a strong partnership relationship both at bilateral and multilateral levels. 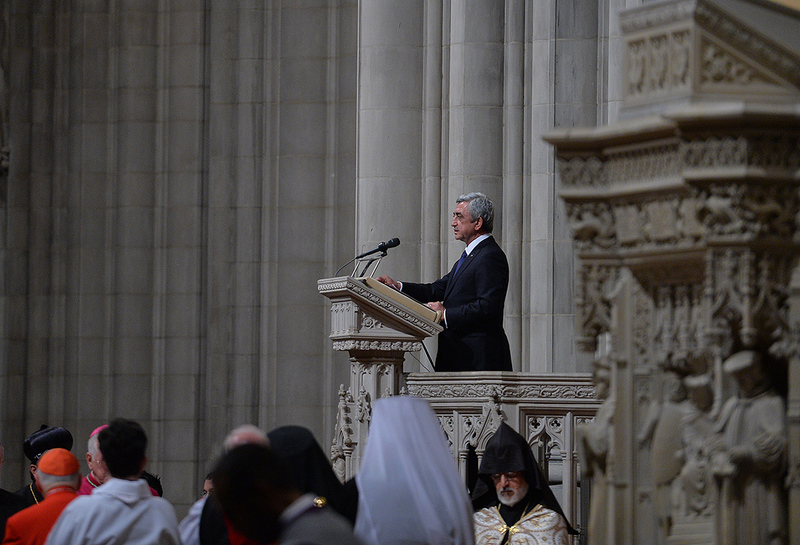 President Serzh Sargsyan greatly appreciated the support provided by the U.S. throughout these years for the development of Armenia’s economy, multi-sectoral reforms and civil society and democratic consolidation which has been targeted at the strengthening of our statehood. 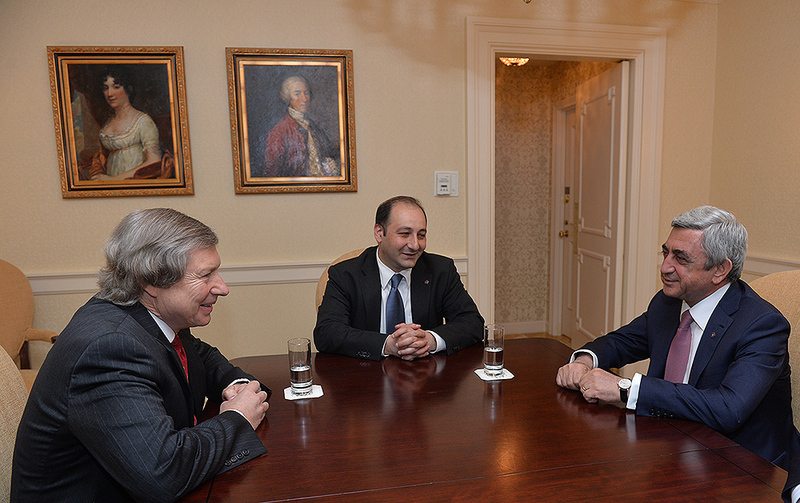 The president also stressed the U.S. role in maintaining security and stability in the region, including its active involvement in the Nagorno-Karabakh peace process as an OSCE Minsk Co-Chair country. 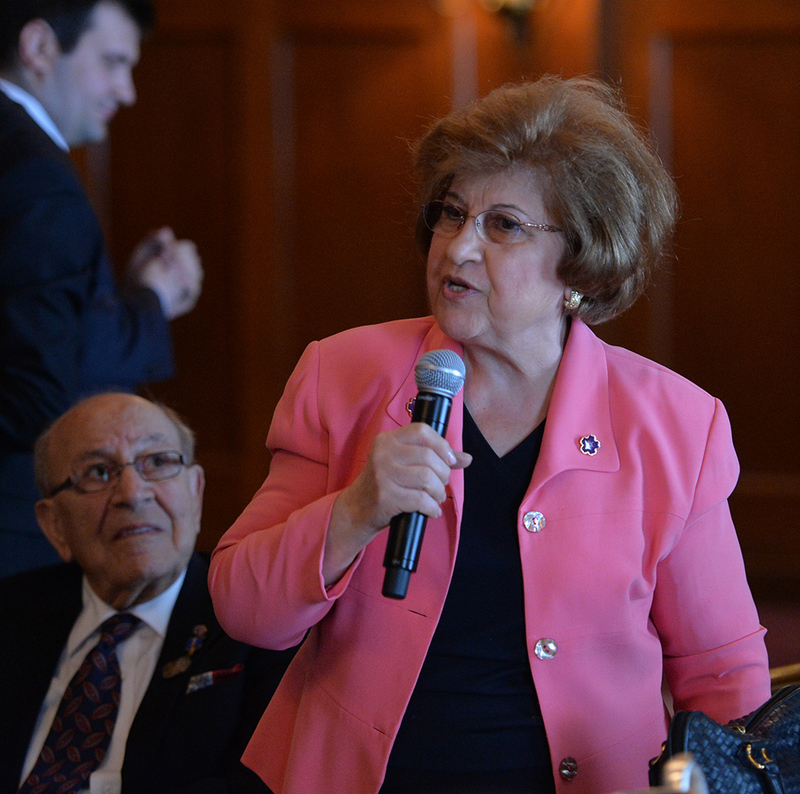 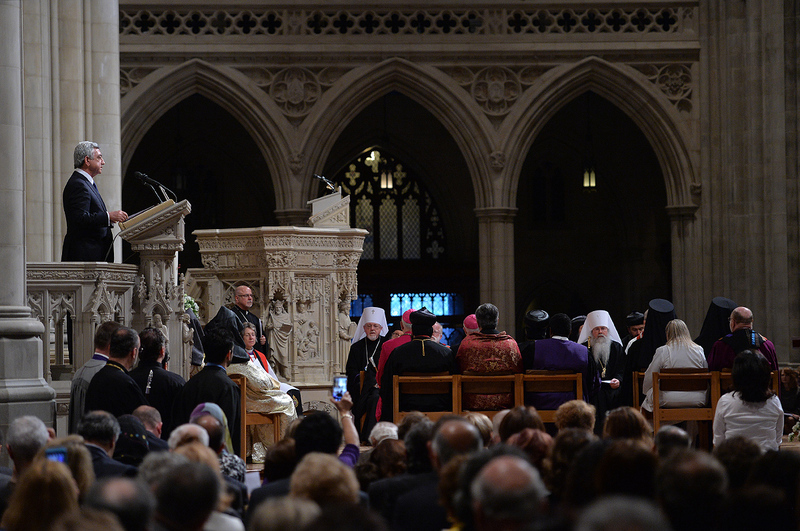 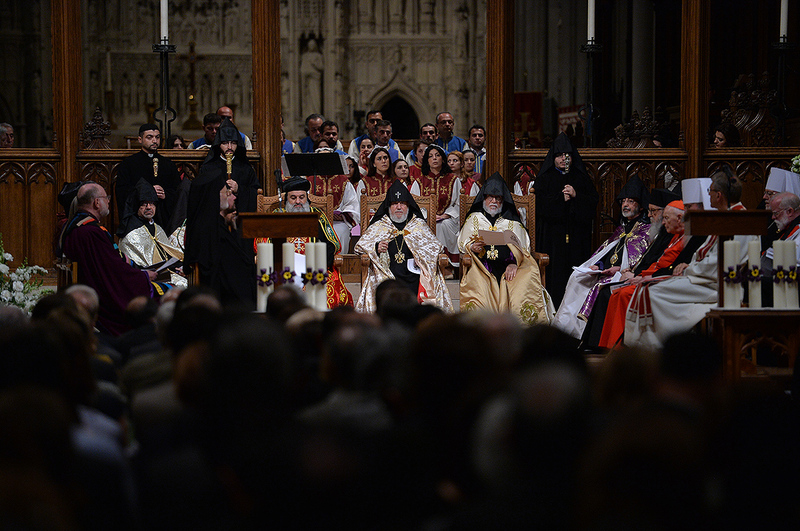 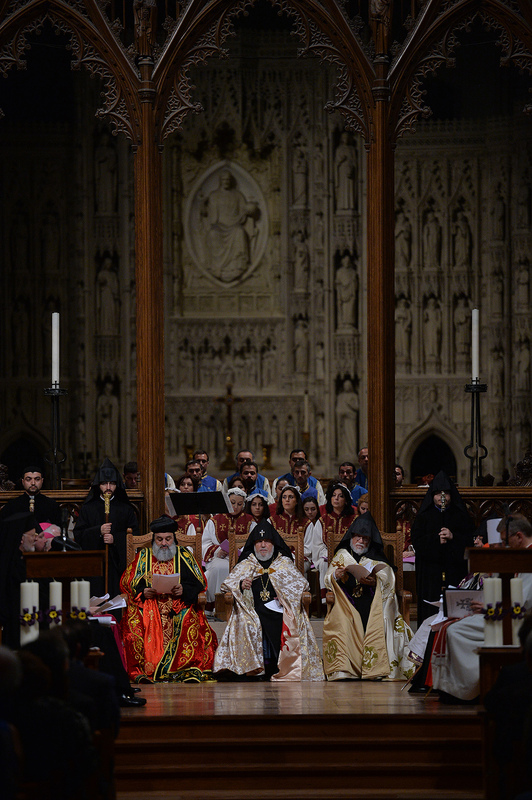 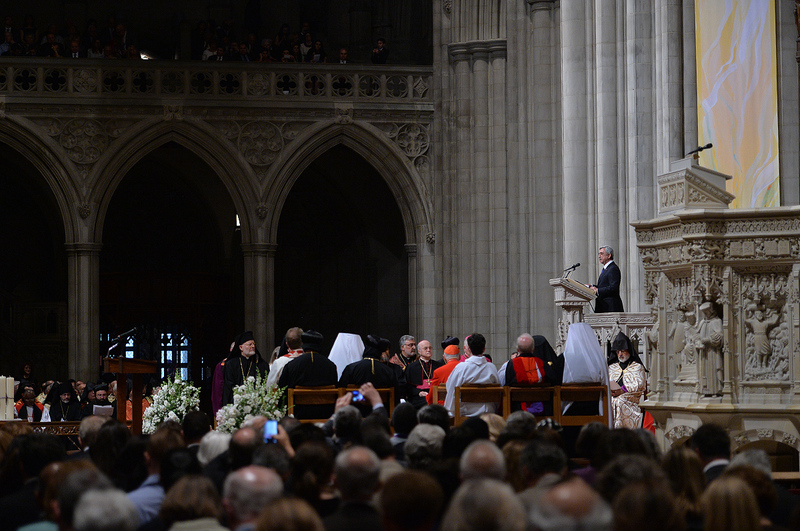 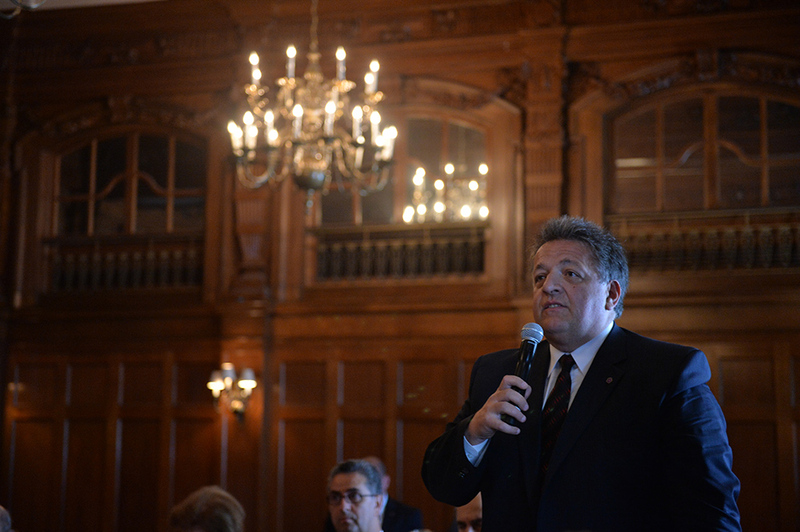 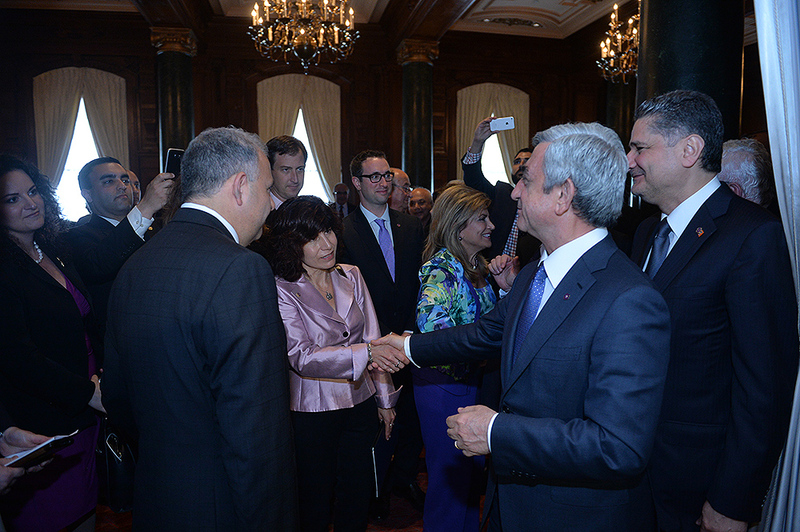 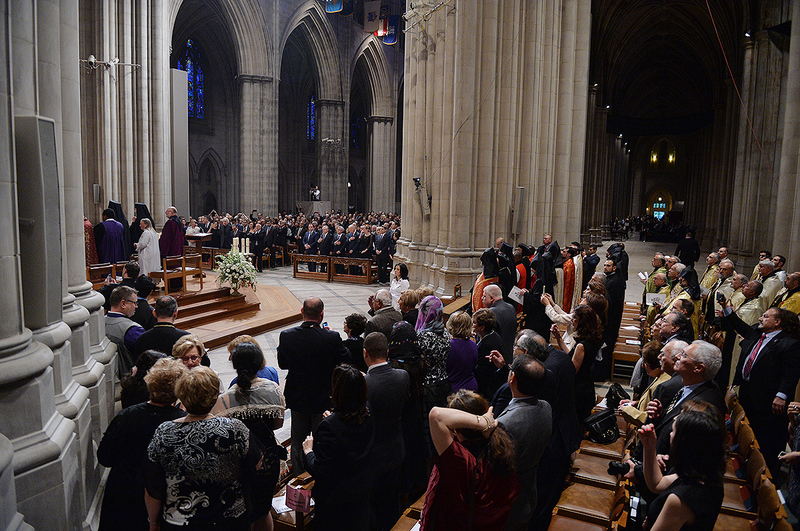 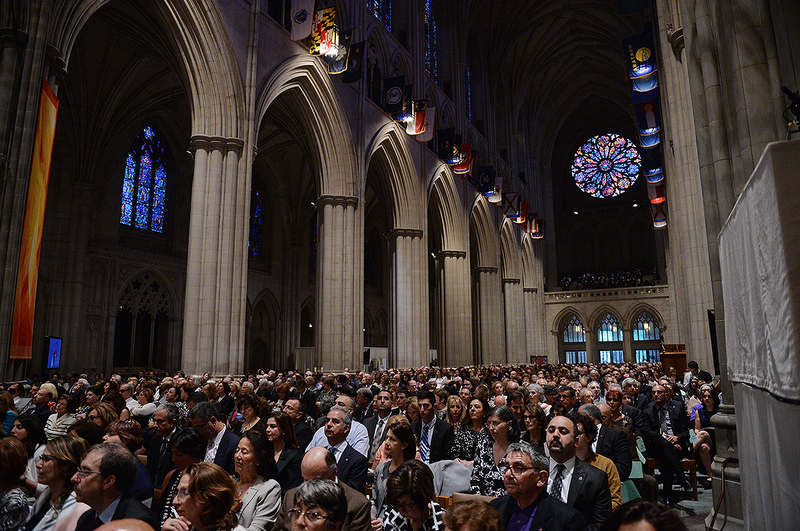 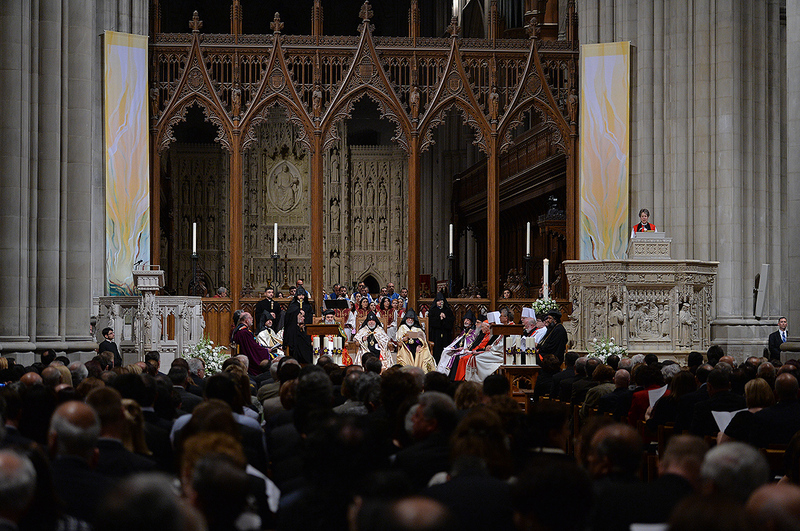 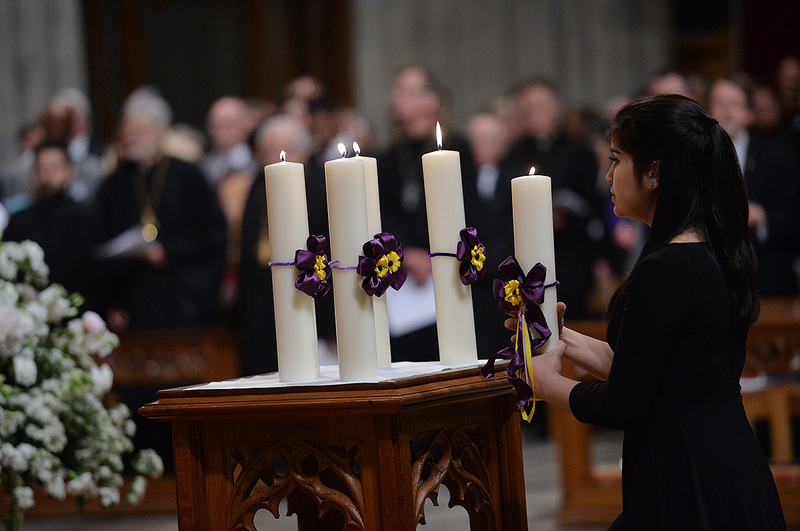 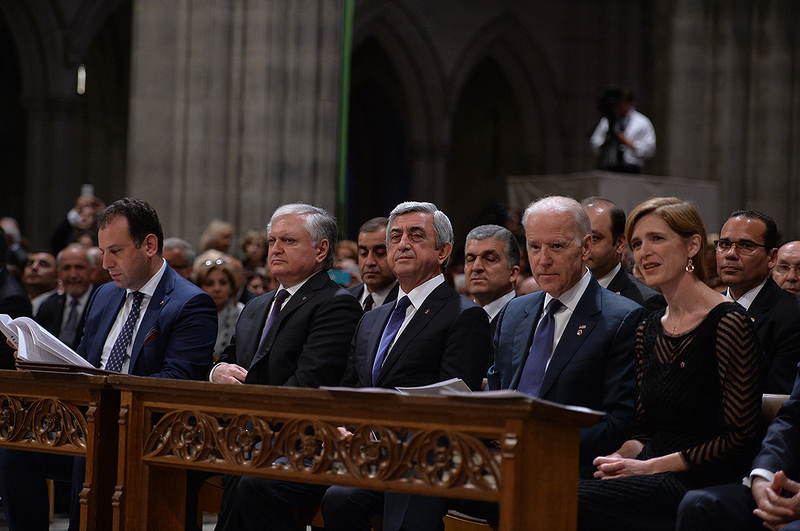 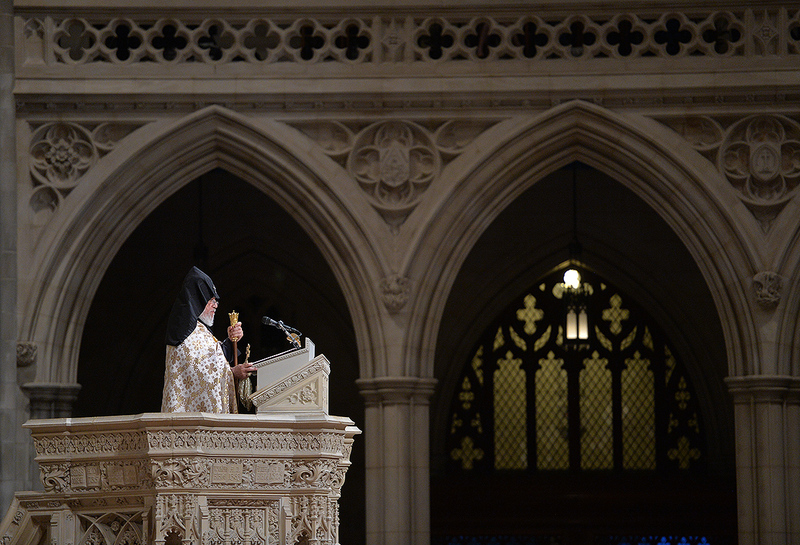 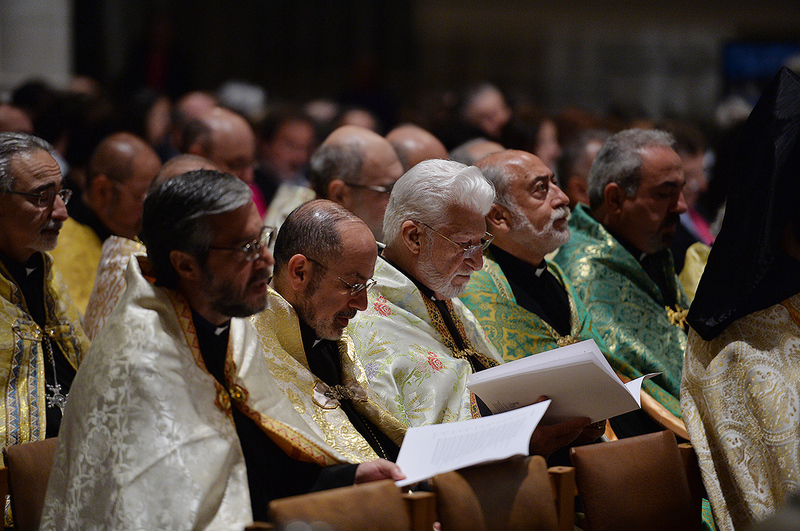 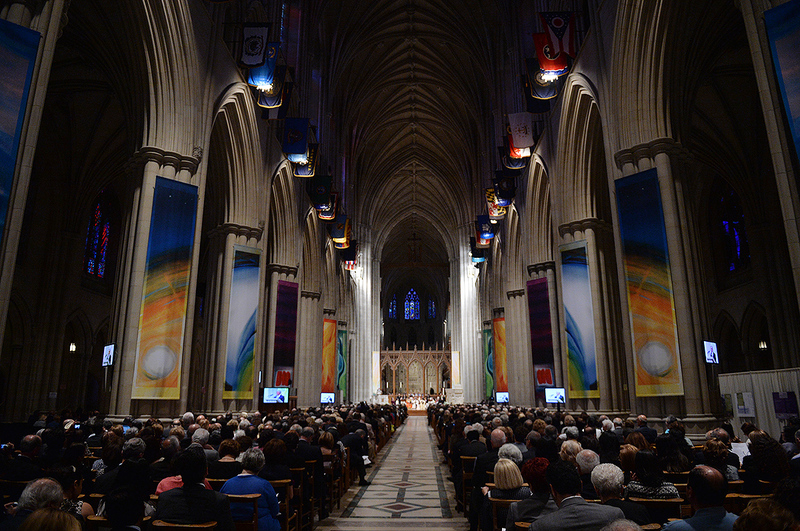 At the meeting, the parties reflected upon the Armenian Genocide Centennial and the commemorative and remembrance events being held in Armenia and in numerous countries of the world, including the inter-religious prayer devoted to the Armenian Genocide to be performed at Washington National Cathedral during the RA president’s visit. 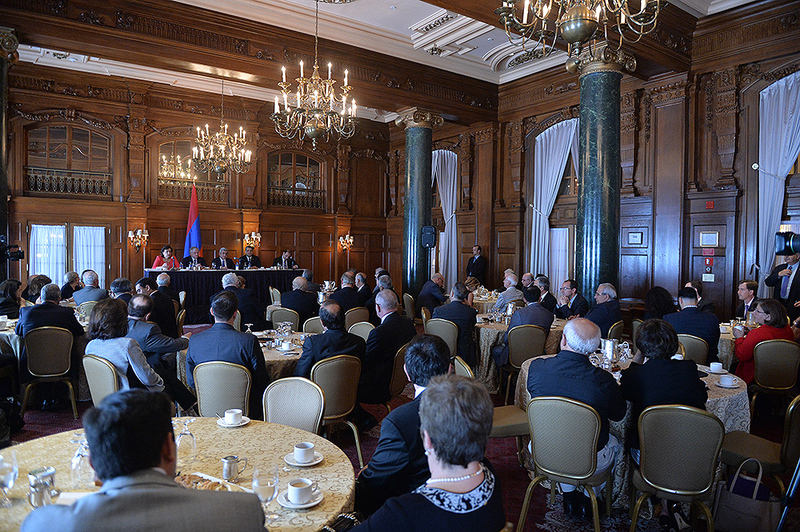 The RA president and the U.S. senators exchanged views on problems and challenges in the South Caucasian region and on the Nagorno-Karabakh peace process. 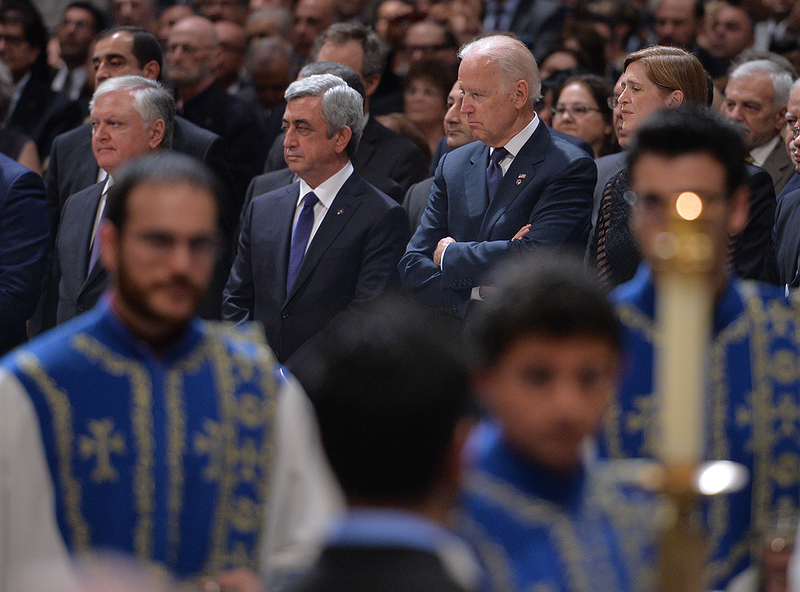 In their speeches, all the participating senators attached importance to the recognition and condemnation of the Armenian Genocide. 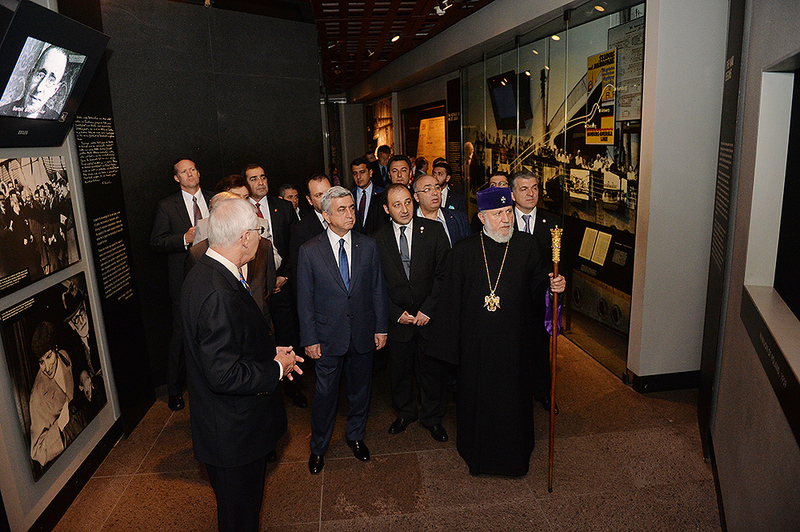 Given the blockade of Armenia, the interlocutors also discussed issues related to creating the necessary opportunities to ensure alternative transport routes and energy sources. 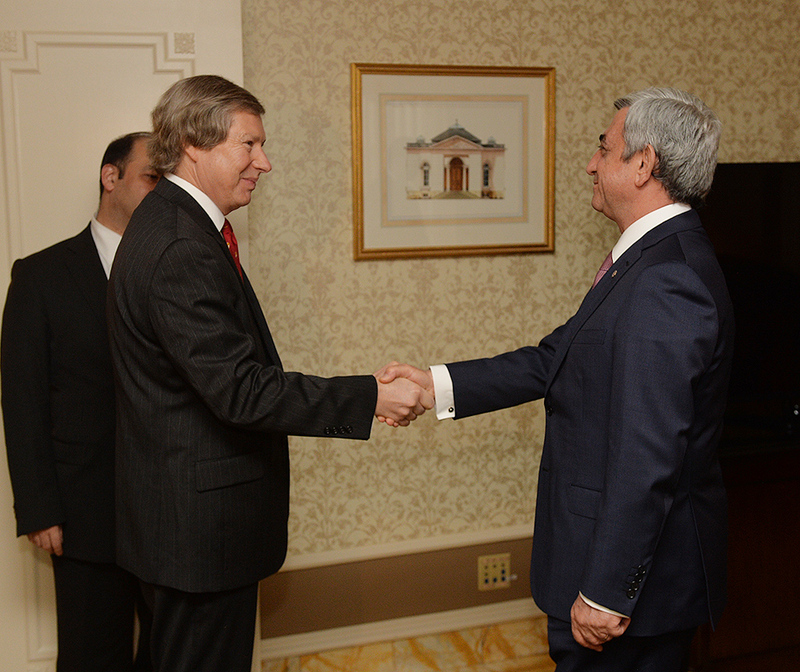 President Serzh Sargsyan, who has paid a working visit to the United States of America, received OSCE Minsk Group Co-Chair James Warlick in Washington. 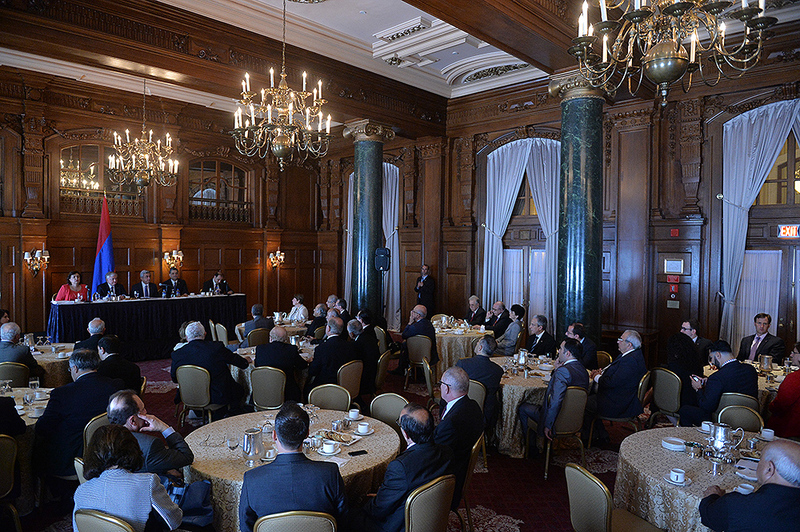 At the meeting, the interlocutors discussed issues pertaining to the current stage of the Nagorno-Karabakh peace process mediated under the auspices of the OSCE Minsk Group and to its prospects. 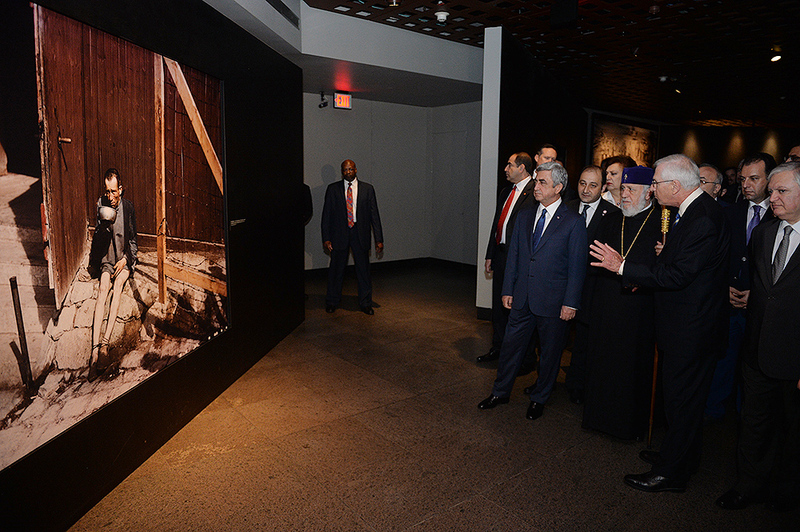 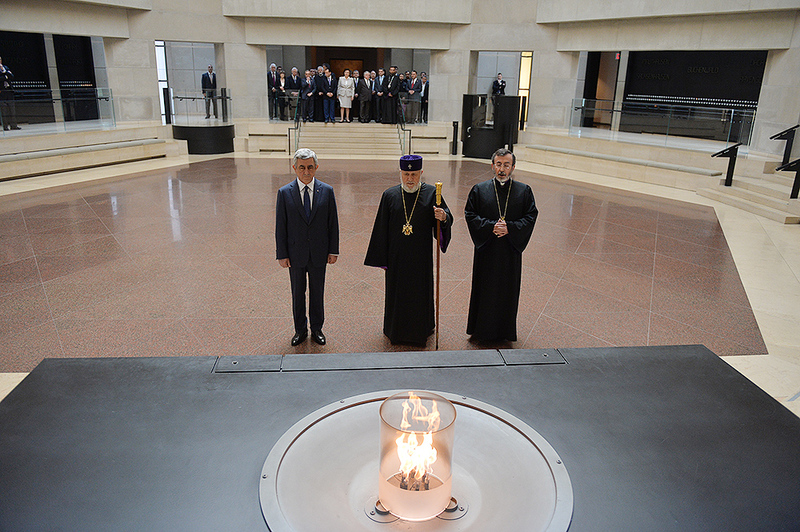 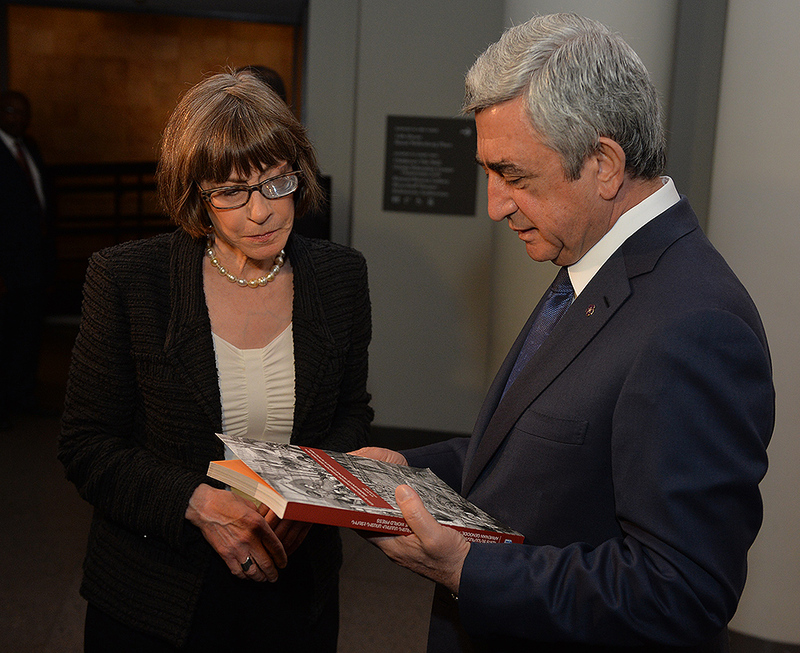 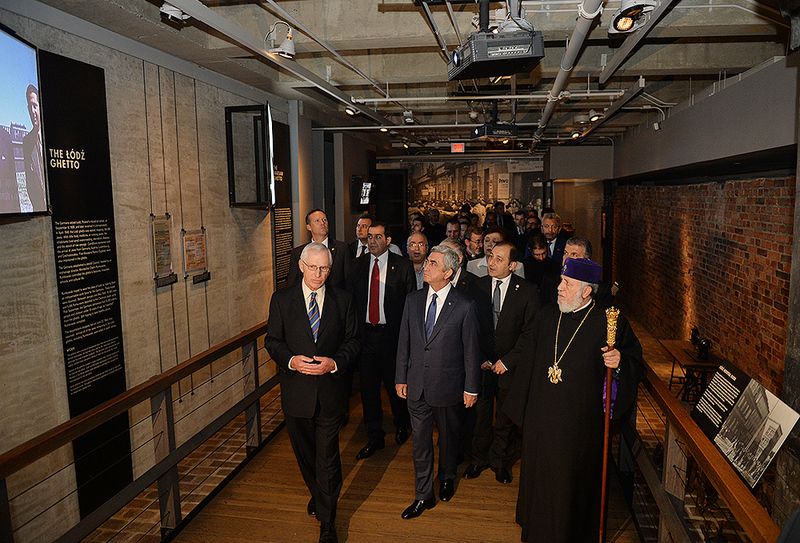 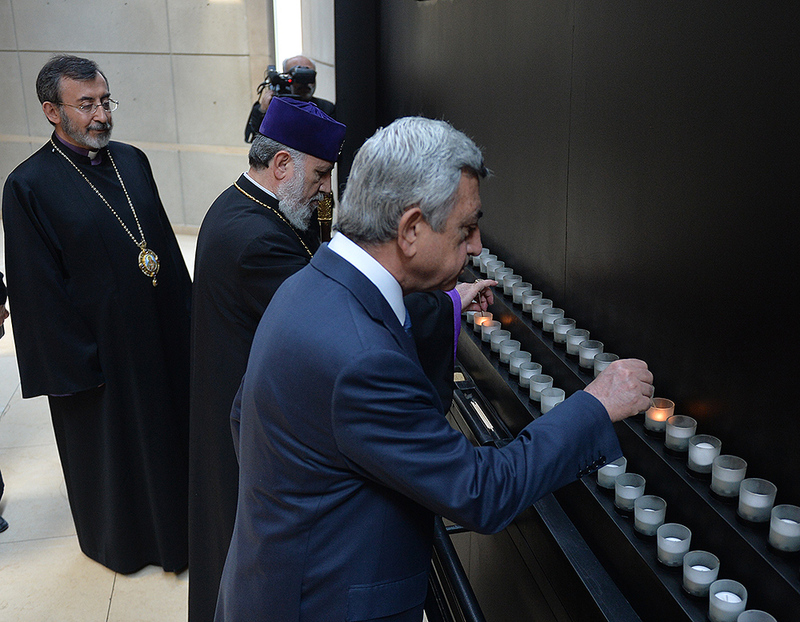 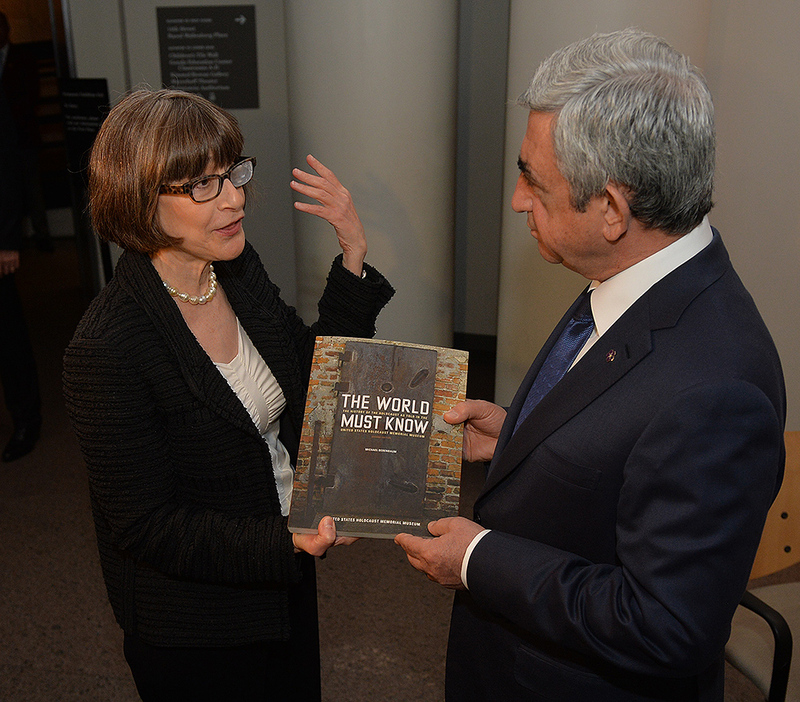 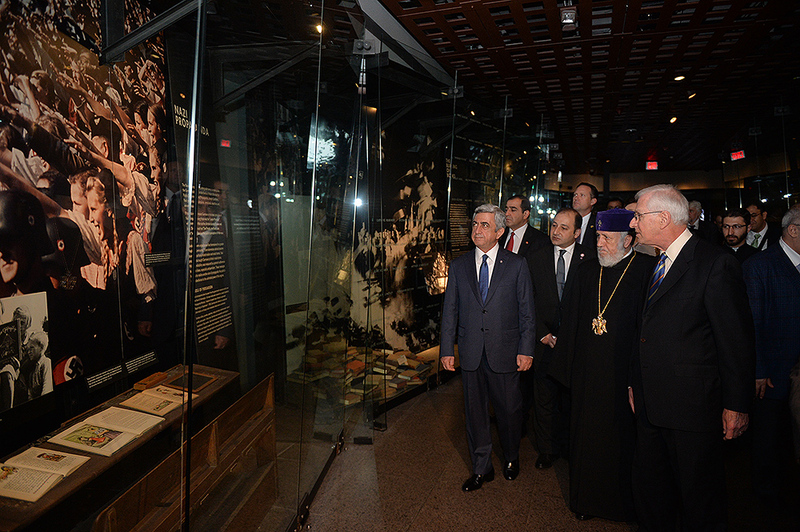 On May 6, President Serzh Sargsyan, who has conducted a working visit to the United States of America, visited the United States Holocaust Memorial Museum in Washington. 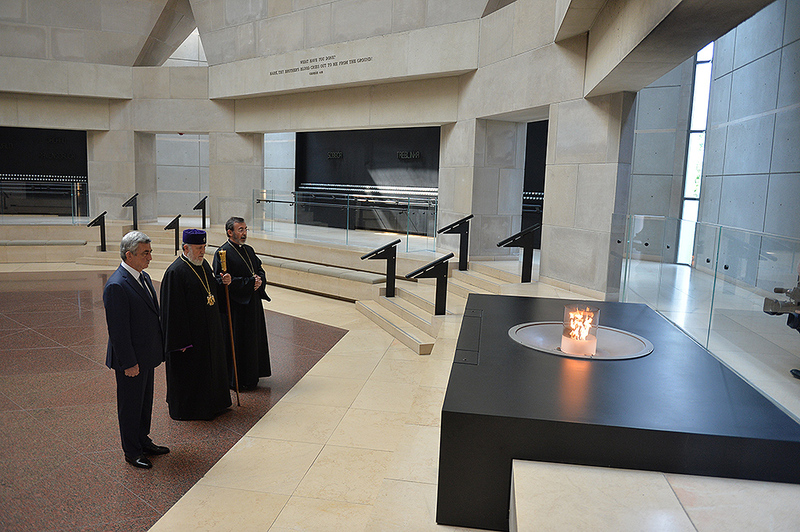 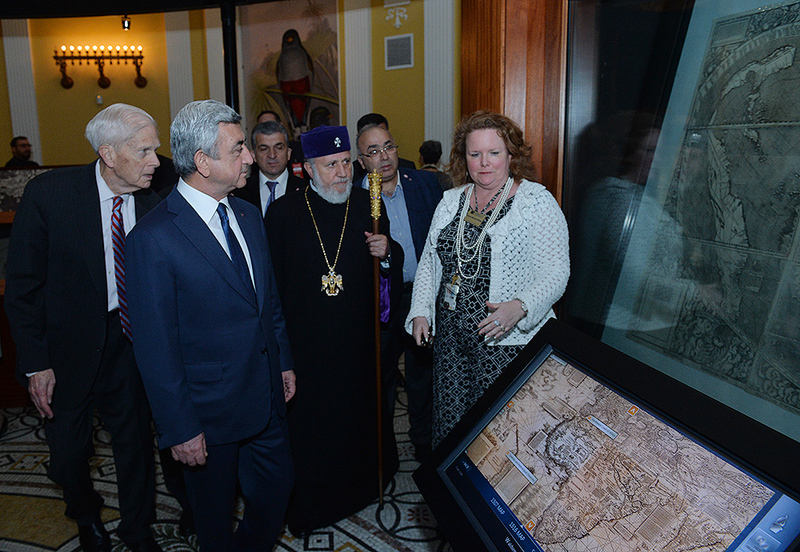 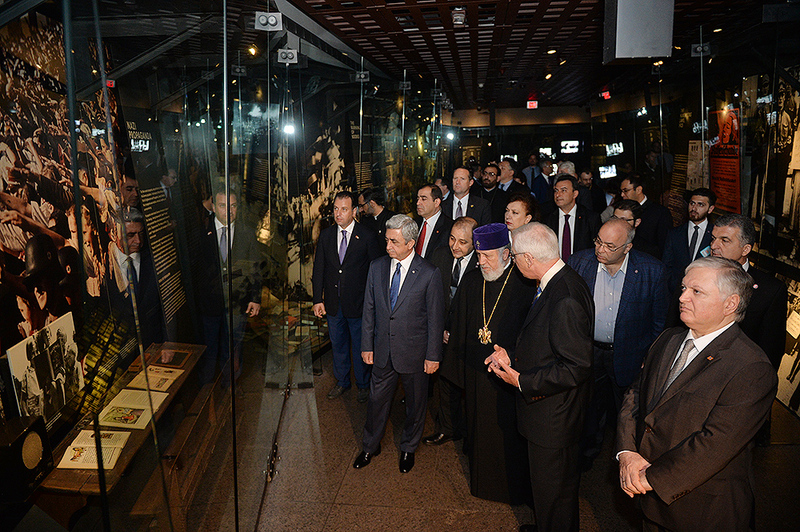 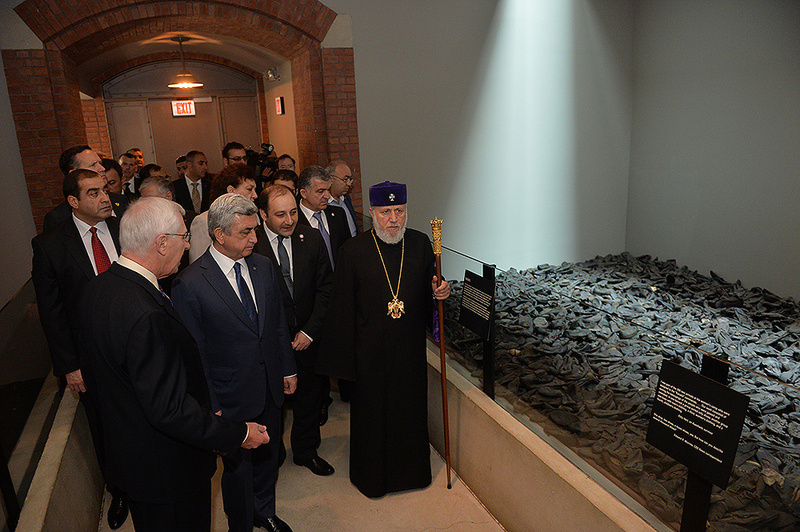 During the tour, the curator of the museum introduced the Armenian president to the exhibition items. 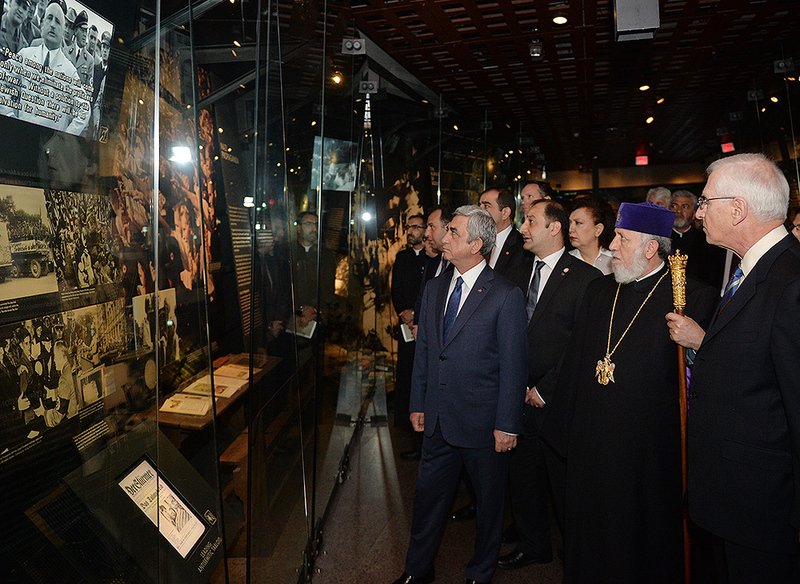 After the tour, Serzh Sargsyan made a note in the museum’s honorary guest book: “I am very impressed with what I saw. 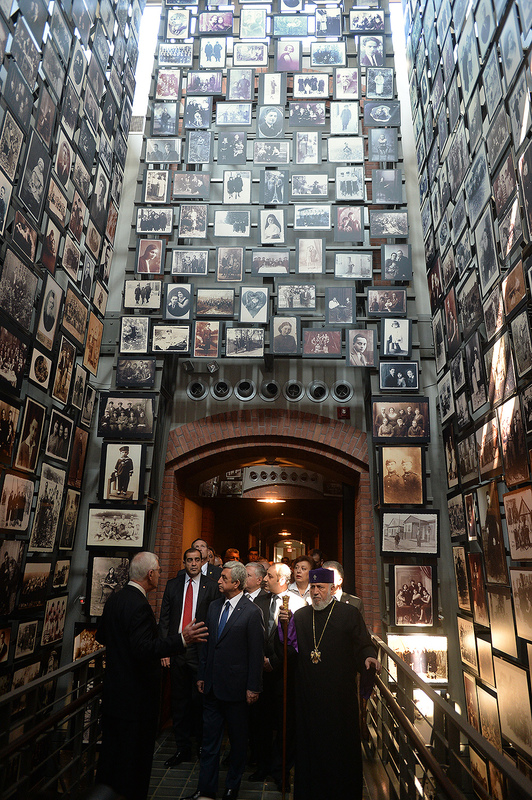 This is a place whose walls embrace deep sorrow and at the same time a big ray of hope, emphasizing the advantage of confronting the past over its denial and disguise. 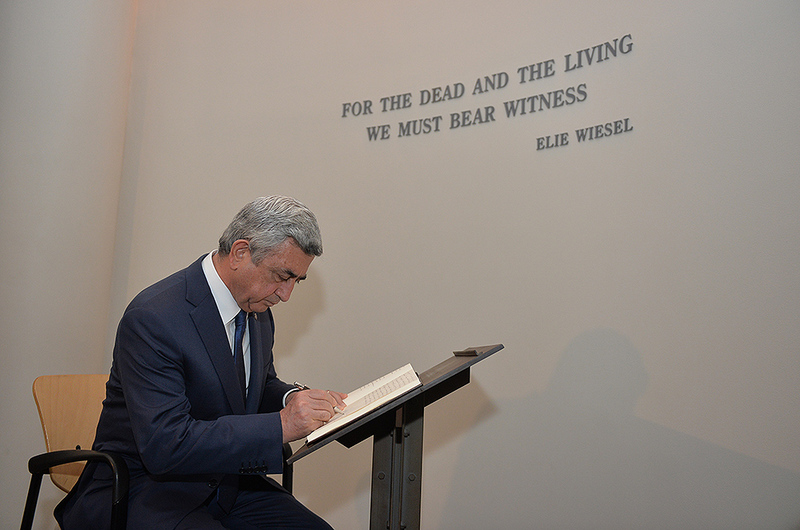 This is an invaluable contribution as a silent, but vivid safeguard of the future. 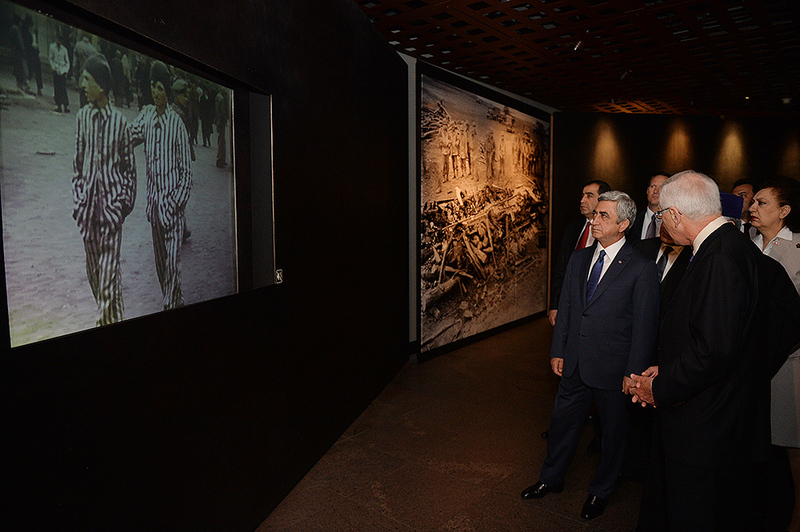 The museums devoted to crimes against humanity, such as this Holocaust memorial museum and the Armenian Genocide Museum-Institute in Yerevan, are not only aimed at paying tribute to victims, are not only the summarized memories of survivors, but also carry a clear message to present and future generations so that they always keep remembering the bitter memories of the past in order to take lessons and pass them down from generation to generation,” reads the RA president’s note. 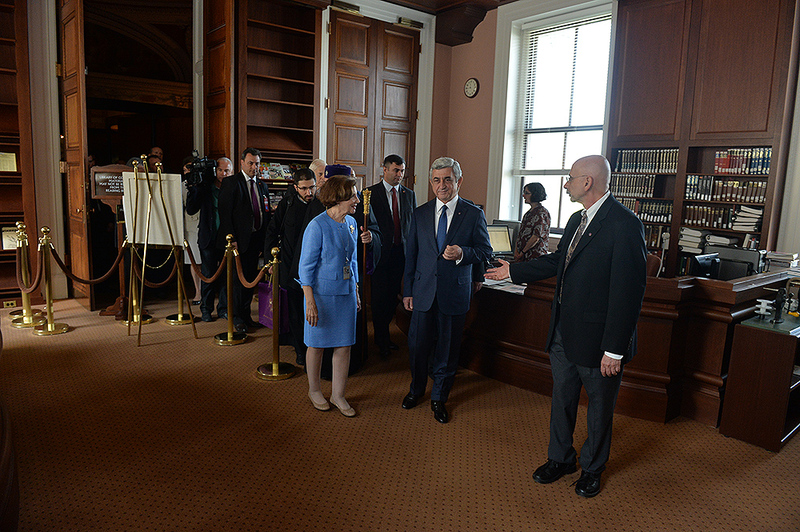 President Serzh Sargsyan, who has paid a working visit to the United States of America, visited the Library of Congress which has recently been significantly enriched with new video and audio records and digital materials. 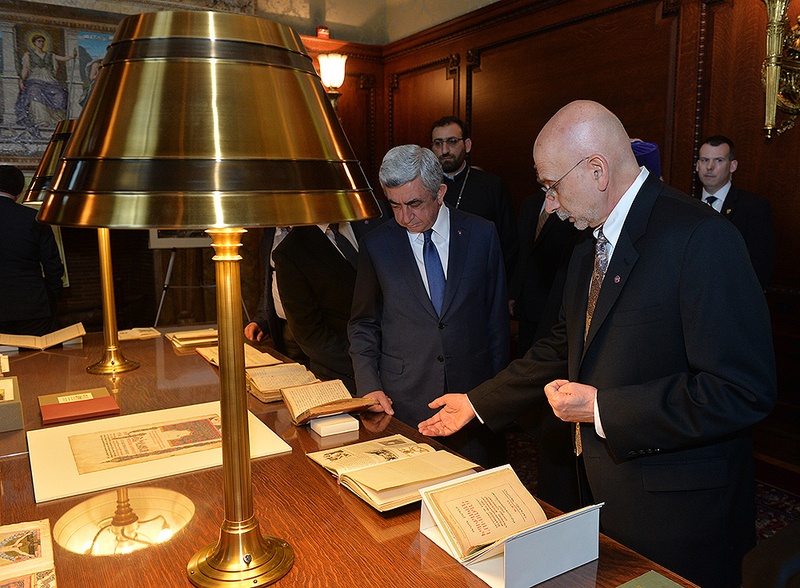 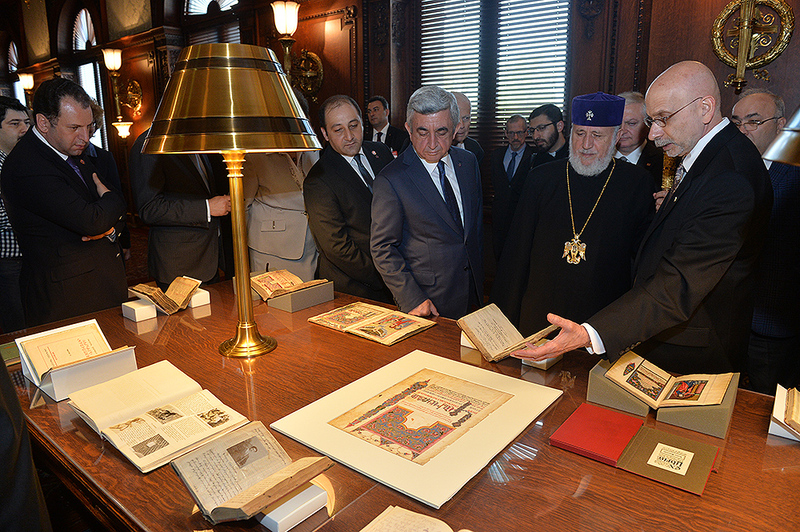 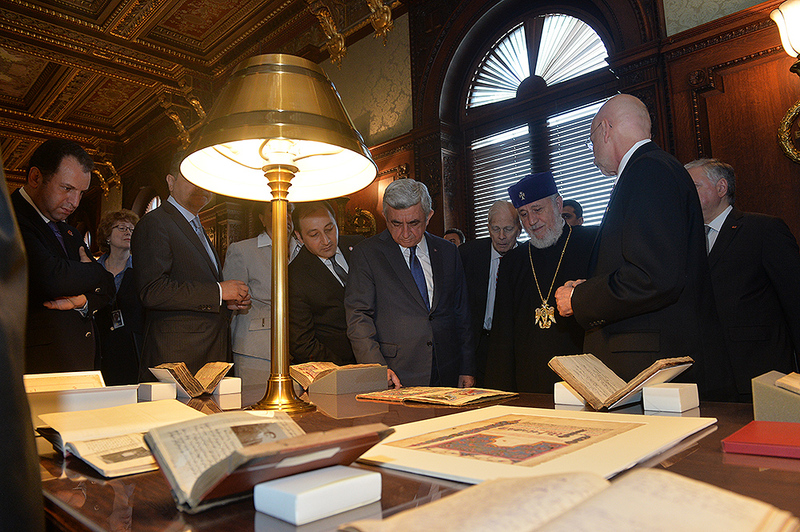 The president toured the library, familiarized himself with some of the exhibits which included numerous Armenian language materials and those about Armenia – historical records, old maps with Armenia and testimonies of the Armenian Genocide by American diplomat Henry Morgenthau and others. 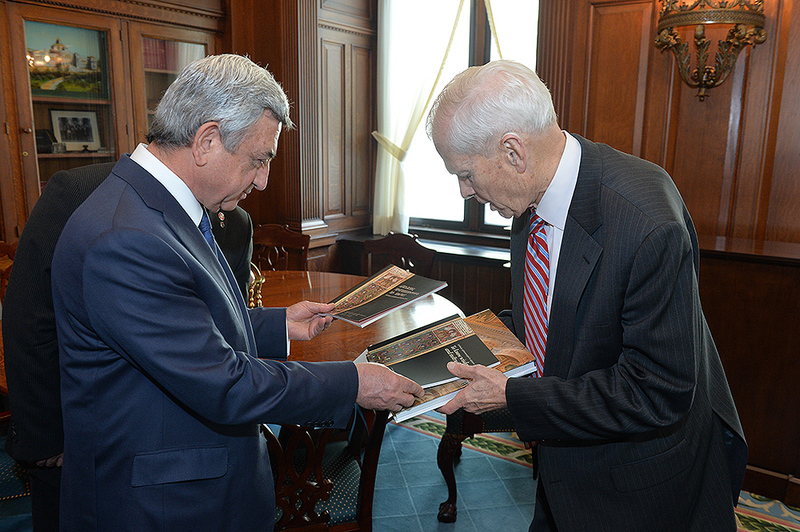 Later on, Serzh Sargsyan had a brief meeting with James Billington, Librarian of Congress. 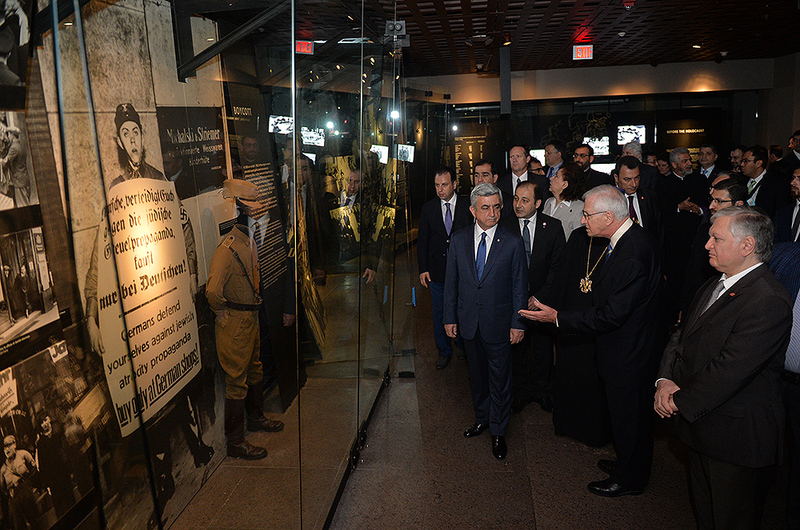 The souvenir sheet displays the donation poster of the American Committee for Relief in the Near East, “They Shall Not Perish,” with the background of Armenian orphans thanking the U.S..
President Serzh Sargsyan, who has paid a working visit to the United States of America, attended the signing ceremony of the Trade and Investment Framework Agreement between the Government of the Republic of Armenia and the Government of the United States of America. 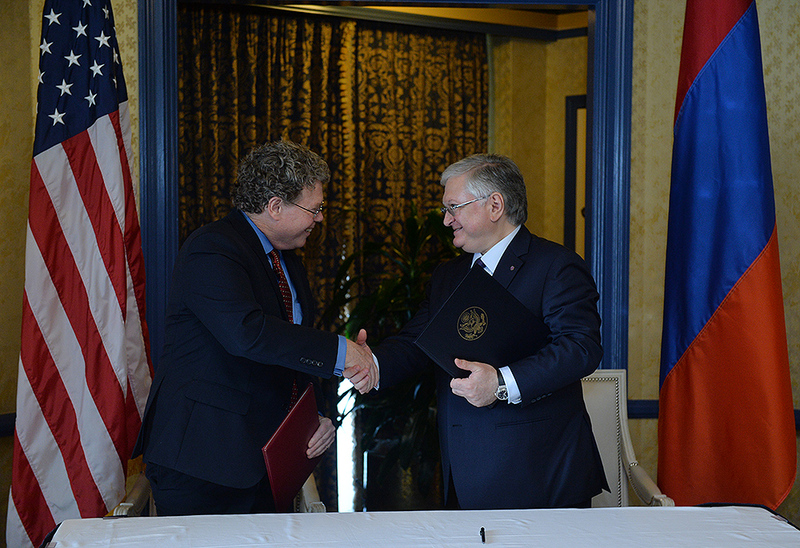 The document was signed by RA Foreign Minister Edward Nalbandian representing the RA government and Assistant United States Trade Representative Dan Mullaney representing the U.S. government. 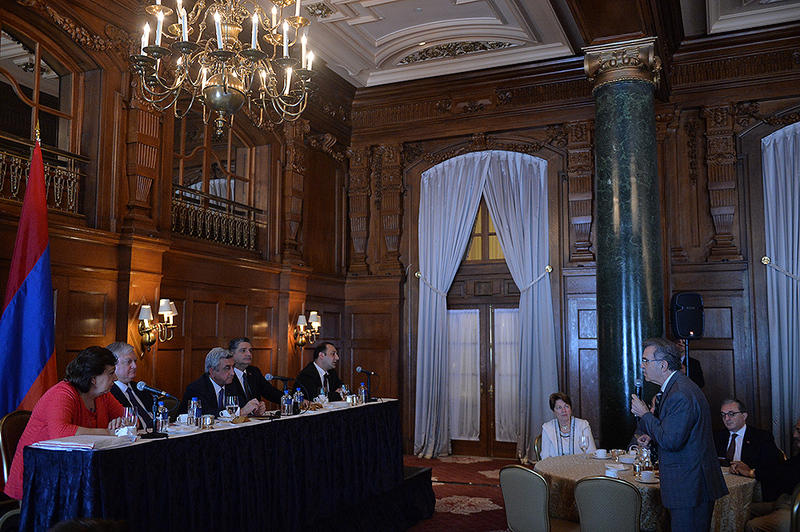 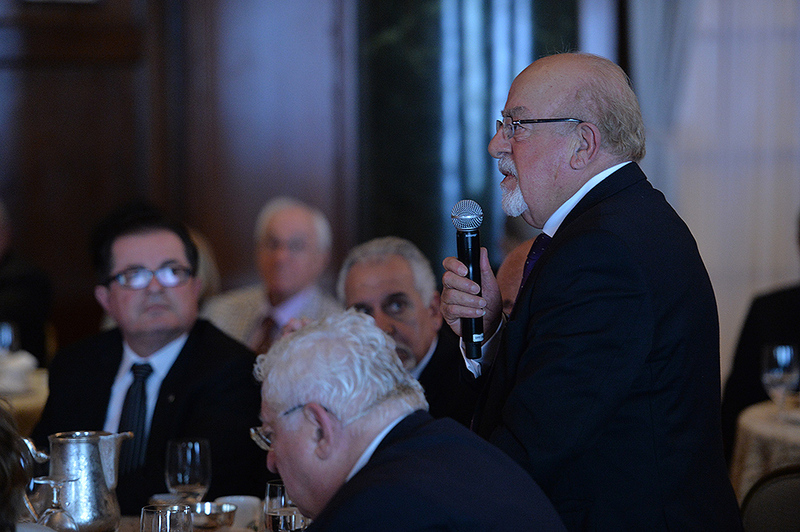 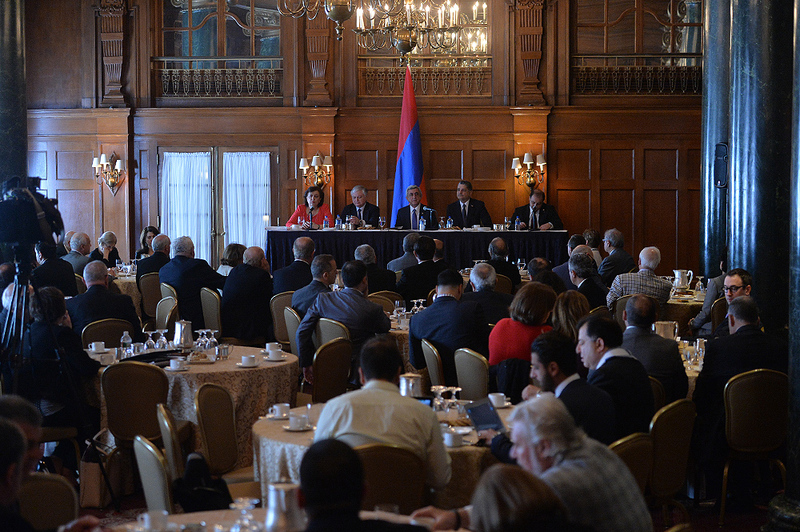 Afterwards, the Armenian president had a meeting with representatives of the Armenian-American community where he delivered welcoming remarks and responded to questions from the participants. 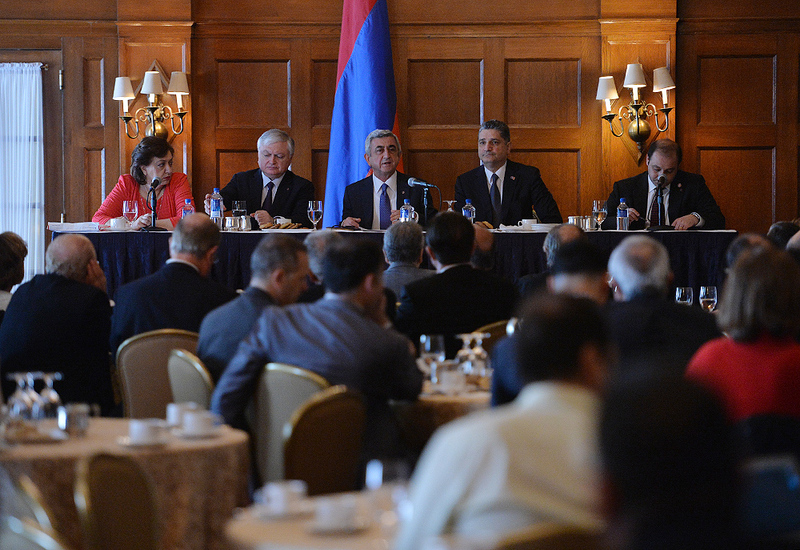 Serzh Sargsyan also had a meeting with the representatives of the ARF Eastern U.S. Central Committee and the Armenian National Committee. 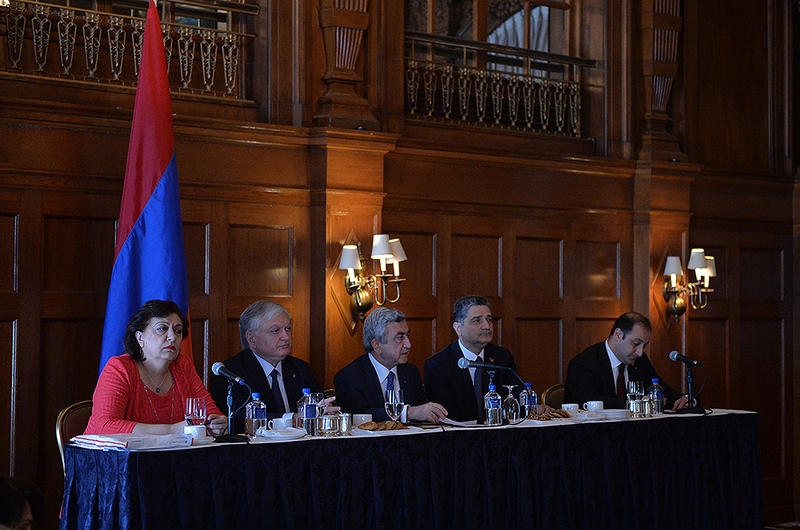 The parties discussed issues related to Armenia’s domestic and foreign policy. 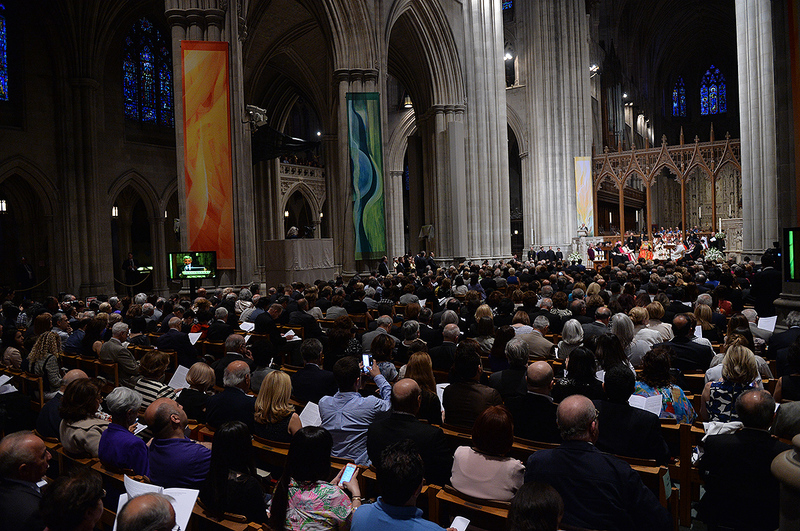 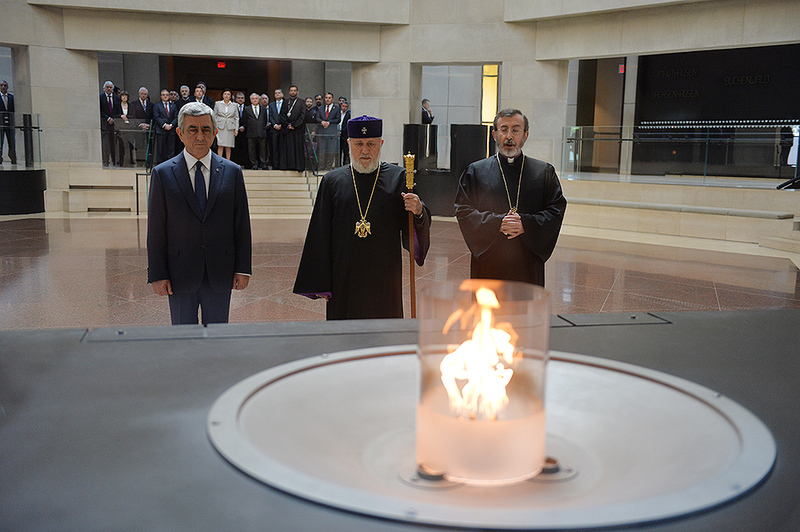 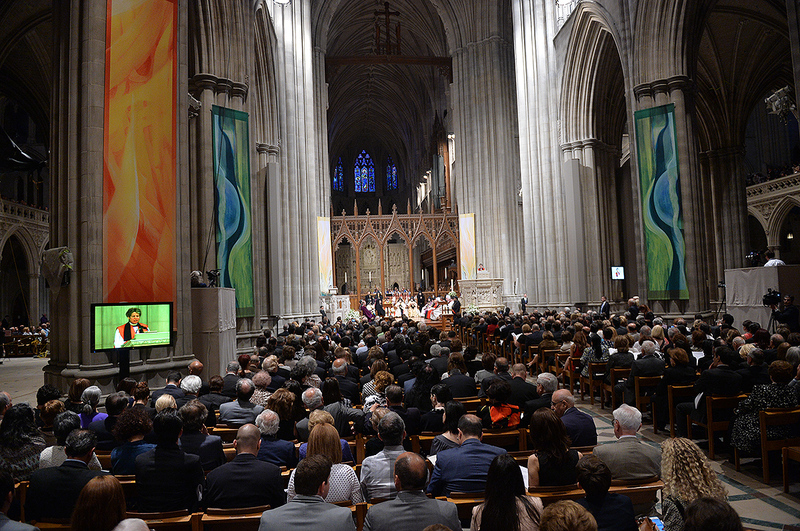 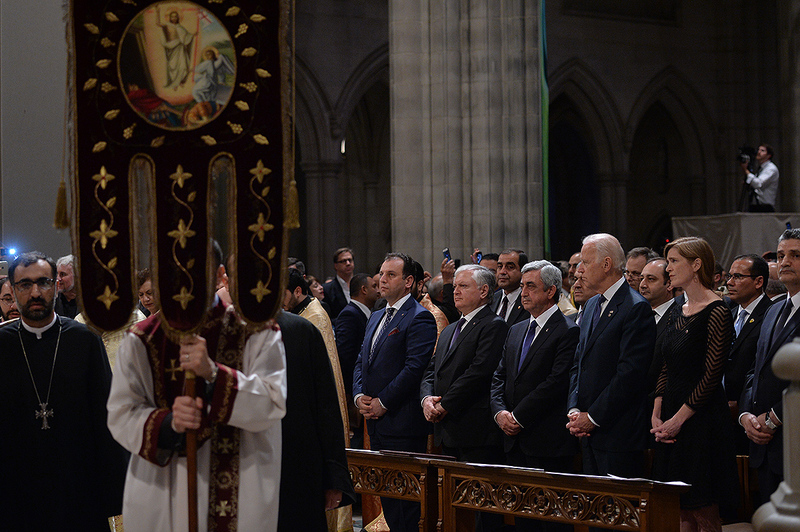 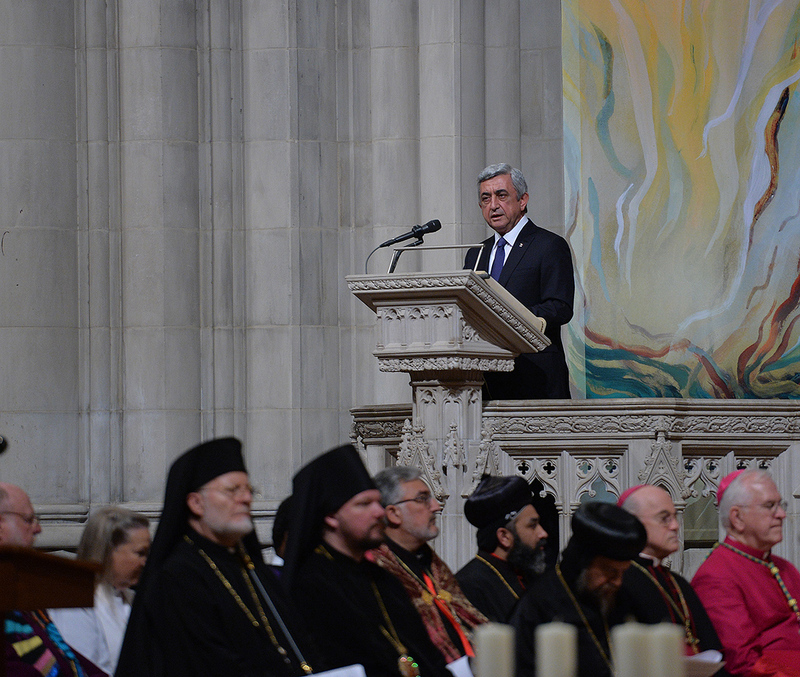 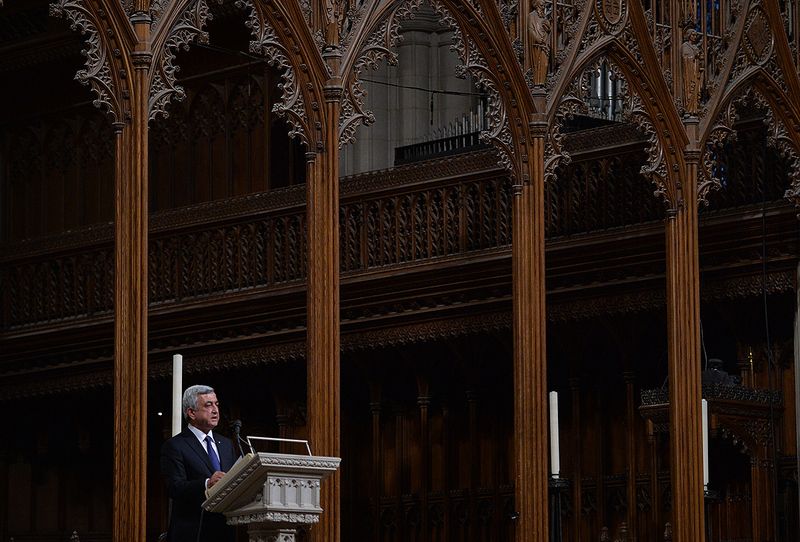 On the evening of May 7, President Serzh Sargsyan, who has paid a working visit to the United States of America, took part in an ecumenical prayer in memory of the Armenian Genocide victims which was performed at Washington National Cathedral. 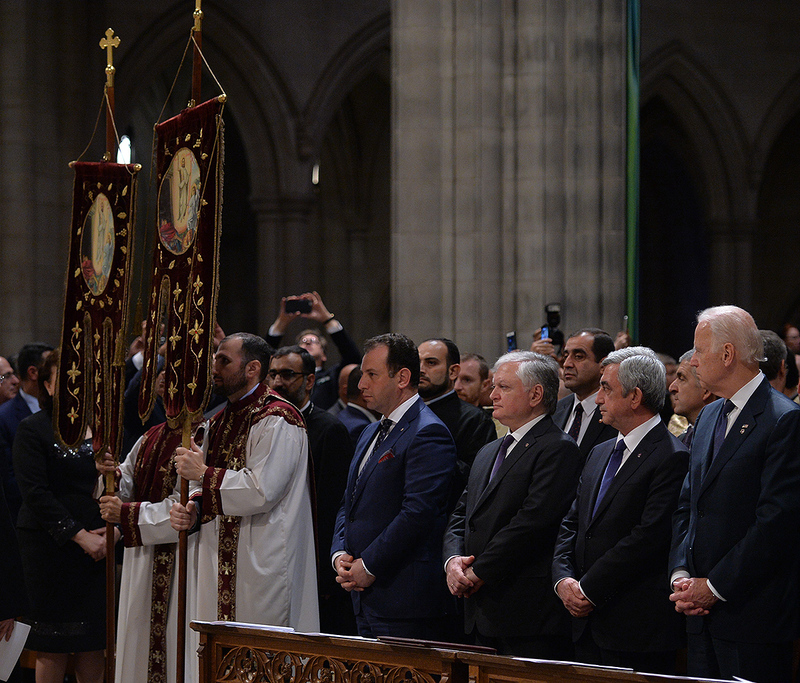 The president was accompanied by His Holiness Karekin II, Supreme Patriarch and Catholicos of All Armenians, and Aram I, Catholicos of the Great House of Cilicia. 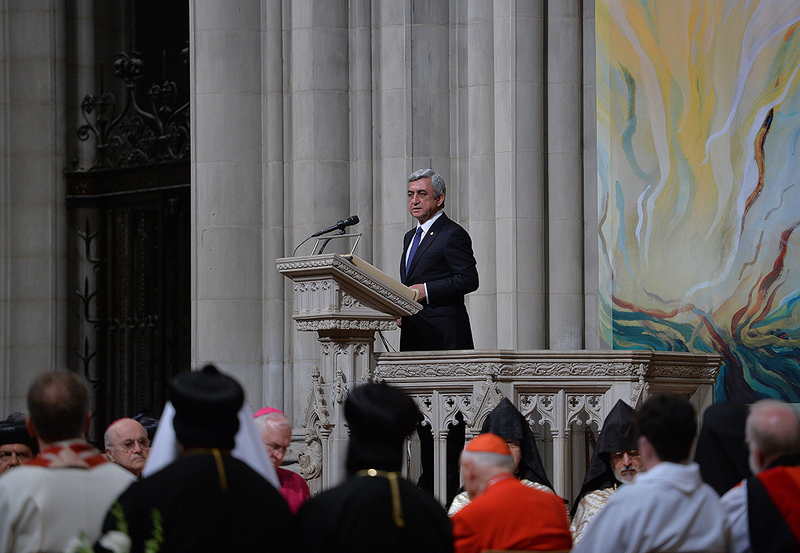 The Armenian president delivered a speech. 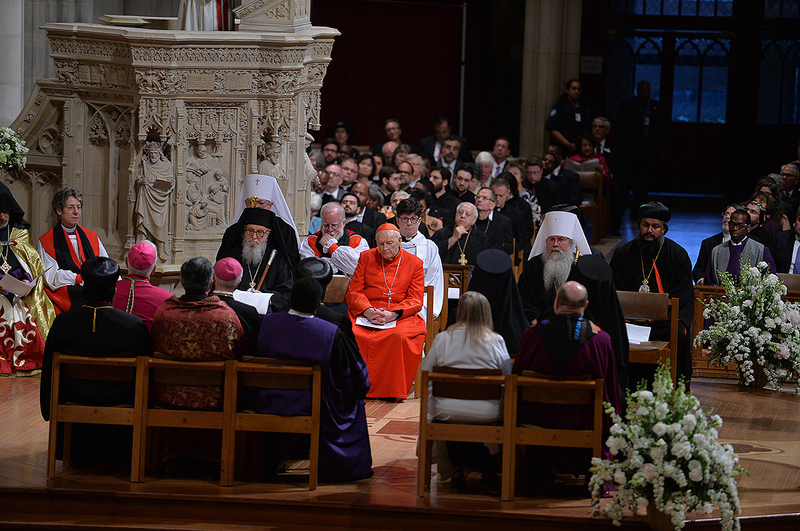 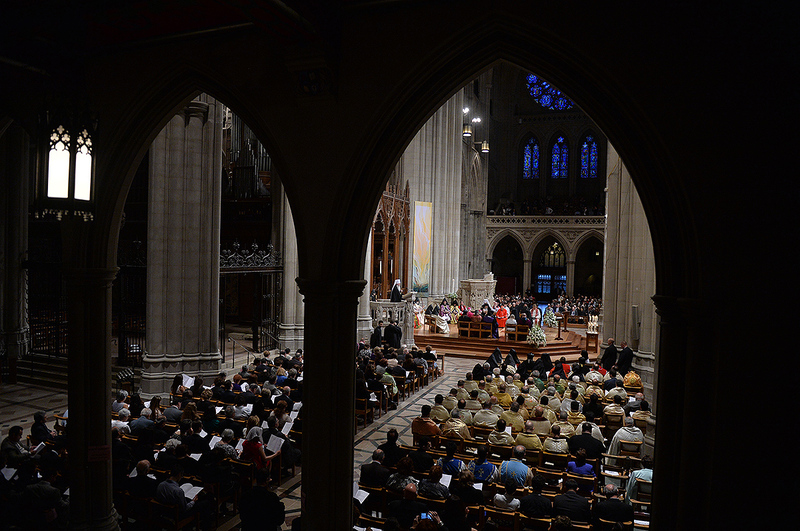 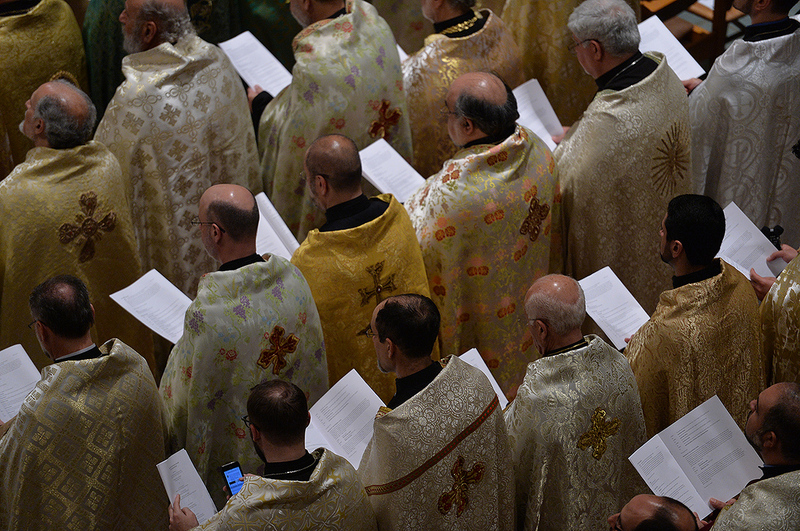 The ecumenical prayer service was also joined by U.S. 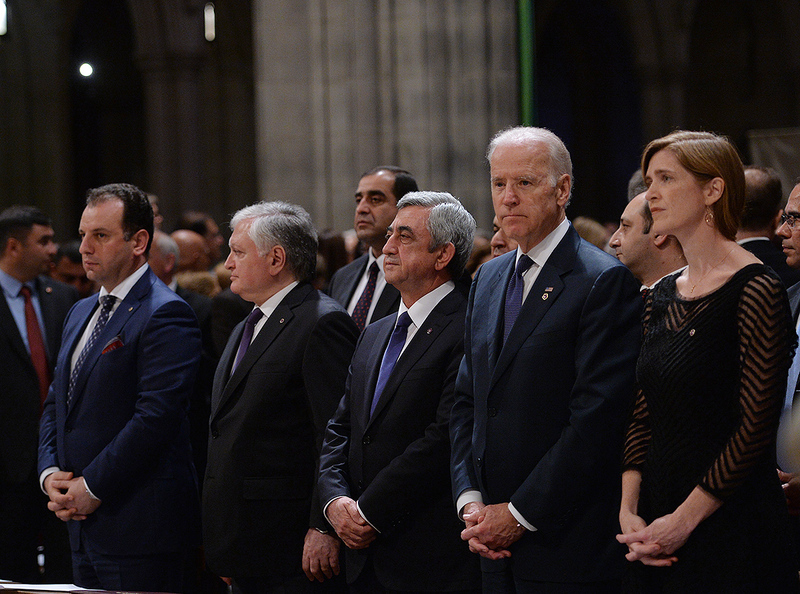 Vice-President Joe Biden, U.S. 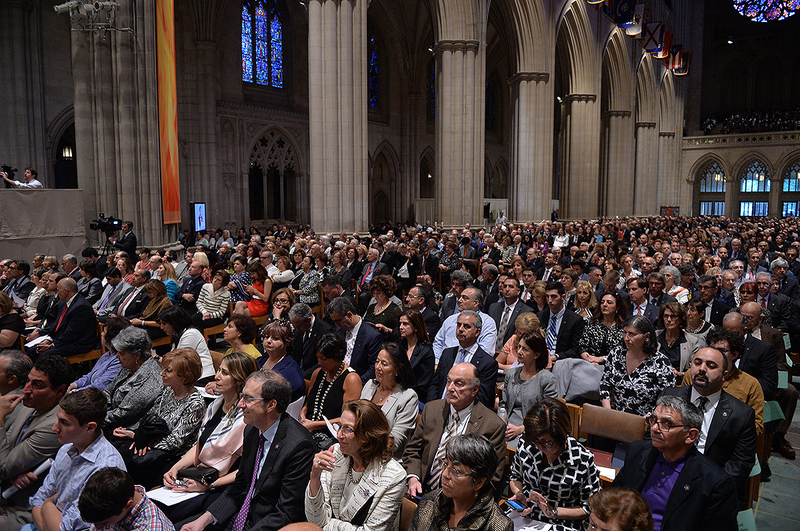 Ambassador to the UN Samantha Power, Katharine Schori, Presiding Bishop of the Episcopal Church of the United States, Olav Fykse Tveit, Secretary-General of the World Council of Churches, numerous clergymen, thousand members of the Armenian-American community, American diplomats, as well as by public and political figures.